The Assistive Technology Daily’s recent post of an article, “Can Audio and or/or Digital Books Improve Your Child’s Learning Outcomes?”, from the National Center for Learning Disabilities, not only stirred my interest, but also strong feelings about access to print. From working with school aged students and post secondary student, many are not familiar with audio or digital resources that are readily available for use as free or paid for services and that can help them access print information and support their learning with greater independence, an important ability for especially post-secondary students. Learning Ally ReadHear software on PC and Mac computers for Learning Ally members. DAISY Devices – Digital Accessible Information System devices – a player designed specifically for Audiobooks. Typically used by individuals with low vision or blindness. The DAISYpedia is an excellent resource providing a listing of devices and services supporting the DAISY format. Learning Ally Apps for Android and iOS devices (both free apps). A Learning Ally membership is required to use the apps. Bookshare.org provides electronic files for individuals with a print disability. It is a free service funded by OSEP to individual members and institutions for those that qualify. Apps and software to manage Bookshare files are available. Bookshare outlines all of the Reading Tools available for Bookshare members. Google Chrome Web Browser and Bookshelf – (free) provides a method of downloading and accessing Bookshare files using Google Chrome. 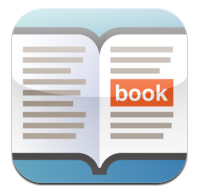 Read2Go App for iOS (19.99) – App for iPhone and iPad providing direct and easy access to Bookshare books. Go Read App for Android (free) – Android app for Bookshare members. Voice Dream Reader App for iOS (9.99) – Lite and full version provides an easy method of downloading Bookshare book files. Kurzweil 1000 – Reading and writing software for individuals with low vision or blindness. Openbook – Software for individuals with low vision. Kurzweil 3000 – Reading and writing software for individuals with learning disabilities. Read Outloud 6 – Reading software for individuals with disabilities. Read & Write Gold – Reading and writing software for individuals with learning disabilities. WYNN – Reading and writing software for individuals with learning disabilities. JAWS for Windows – Computer based software for individuals with blindness. Window Eyes – Computer based software for individuals with blindness. What is the research regarding the use of alternative text? Here are a few resources, citing research on the subject from National Center for AIM Research. The Promise of Accessible Textbooks: Increased Achievement for All Students (Stahl, 2004). What do you use to supply accessible instructional materials to your students or clients? “Text-to-Speech” | National Center on Accessible Instructional Materials.” Text-to-Speech | National Center on Accessible Instructional Materials. AIM, n.d. Web. 27 Apr. 2014. <http://aim.cast.org/learn/research/aimresearch/sr_text-to-speech#.U1zmTs9eHIU&gt;. This entry was posted in Accessibility, Adults with LD, Android, Apps for Special Needs, Book, Differentiation, Google Docs, iOS, iPad, iPhone, iPod, Learning Disability, Mobile Device Use, Print Disabled, Reading, Text to Speech and tagged Accessibility, Accessible Instructional Materials, Android, iPad, iPhone, iPod, Learning Disability, Reading, Text to Speech. Bookmark the permalink.